Yes, it has happened, but don’t get too excited! Around the first of November 2009, officials in Georgia reported that a new exotic pest had been found attacking kudzu. Yes, kudzu! The new bug known to occur in Asia has been officially identified as Megacopta cribraria, known commonly as the bean plataspid, lablab bug, or globular stink bug (Figure 1). It was first discovered by homeowners when thousands congregated on a light-colored house, possibly looking for an overwintering site or mating opportunities. A kudzu infestation nearby yielded the source of the hemipteran bugs. The species has since been found in 8–10 counties in northeast Georgia. Figure 1. Megacopa cribraria with wings spread. This situation points out several important things. 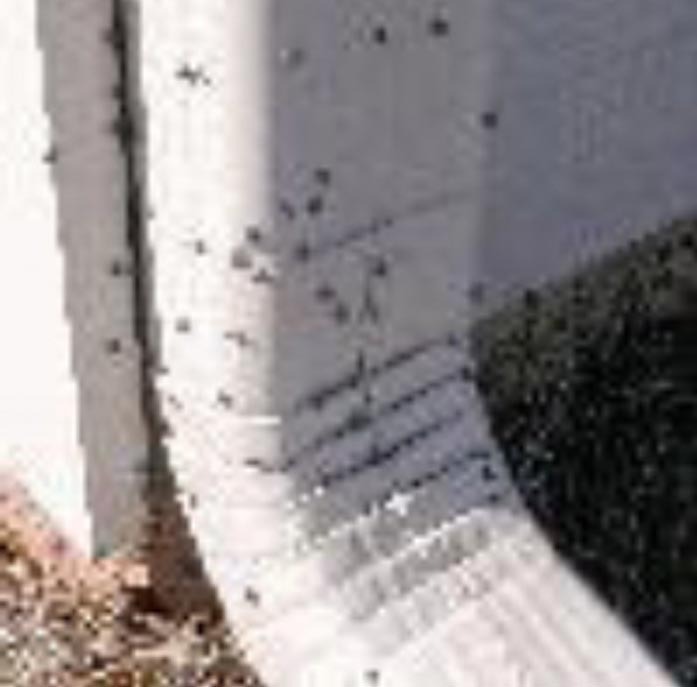 First of all, homeowners and the general public serve as major means by which new pests are detected. Every opportunity to do outreach on exotic pests is money well spent. Extension, regulatory, and private organizations should work closely to insure that brochures on exotic pests are widely publicized to the millions of eyes out there that might spot a new pest. No doubt there are hundreds of exotics to be on the watch for, but the most serious ones must be on the radar screen. Second, current inspection and surveillance techniques employed by Customs and Border Patrol (CBP), regulatory officials, and extension personnel are not and will never be 100 percent efficient. Port inspections at airports, depots, docks, and at border crossings are becoming more efficient in discovering hitchhiking pests and illegal contraband by utilizing sniffing dogs and better trained personnel. However, we must face the fact that bugs and other pests will cross borders one way or another. The sooner they are detected the sooner specific action plans can be completed and their spread reduced or even eradicated. Third, and unfortunately, in many cases exotic infestations are beyond the point of control and eradication when they are first detected. This is more often the case when pests escape to the wild. With many hosts, the pest can spread uncontrollably if it feeds on wild legumes such as kudzu, clovers, and garden-grown beans and peas. Recent detection of the light brown apple moth in California is another example of a pest with many hosts. On the other side of the picture, emerald ash borer, now as far south as southern Missouri, is an example of a forest pest with a limited host range: ash trees. Fourth, when exotic pests are introduced they most often do not bring effective biological control opportunities with them. Kudzu was intentionally introduced in 1876 from Japan and planted extensively in the early 1900s for erosion control. With no biocontrol agents to attack it, it has spread widely across all of the south and the east coast. It is considered by some to be the worst invasive weed in the country. The globular stinkbug is also most likely not accompanied by a biocontrol agent, parasite, or predator. The globular stinkbug will likely have adverse affects on kudzu infestations, but no one knows if it will be significant. Megacopta spp., with their heads tucked under the pronotum, are protected to some degree from lady beetle larvae, which do feed on plataspid nymphs (Majumdar and Fadamiro 2009). Studies must be done to see how effective lady beetles are as biocontrol agents for this insect. Fifth, exotic pests are sometimes not host specific, as is the case with the globular stinkbug. It has been declared to be a pest of other legumes, clovers, soybeans, and beans (Majumdar and Fadamiro, 2009). That is why I said “but don’t get too excited.” Much could be at stake with this little bug if soybeans and other bean crops become preferred hosts. 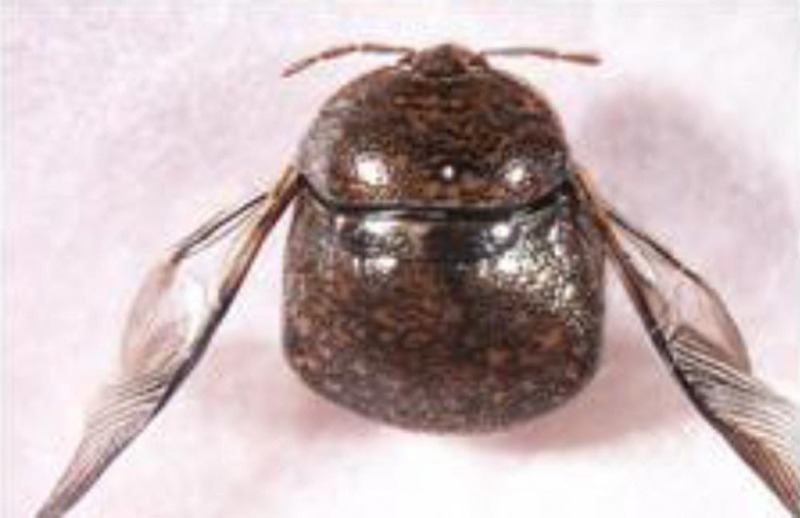 However, in India the plataspid shield bug (another common name) is not cited as a major or minor insect pest of soybeans and peanut (Majumdar and Fadamiro, 2009). Crop consultants and entomologists around the country should be on high alert to detect this pest early in leguminous crops and immediately report findings of suspect Megacopta cribraria. How ideal it would be if exotics were host specific! Majumdar, A. and H. Fadamiro. 2009. Plataspid Shield Bug as Crop Pest: A Preliminary Report https://sites.aces.edu/group/commhort/blog/default.aspx.